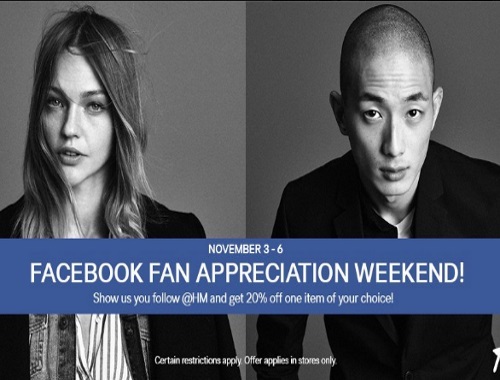 H&M has a Facebook Fan Appreciation Weekend on now! Save 20% off one item of your choice in-store! To get the discount just show that you follow H&M on Facebook to the cashier. Offer is valid November 3-6, 2016 only. Restrictions apply. Offer valid in store only.